Do you think you might have OCD? Have you ever had a song go round and round your thoughts? Have you ever had a thought or image that you really wanted to forget? Or maybe you can’t stop obsessive behaviours no matter what you do. Well if that’s you, here is the help you may need for your OCD. David Beckham, Jessica Alba, Cameroon Diaz, Leonardo DiCaprio, Harrison Ford, and even Michelangelo, to name a few. So the reality is OCD maybe an issue for you, but you can definitely achieve great things even with it. But what if you could get rid of it? What if you could be free of it? Here are a few remedies that I know will help. You can move past it, but it will take discipline, patience, and time. The first thing you must do when you decide to eliminate it from your life is pin point what you do that is OCD. What is it you do that is just not right to obsess on. Name it, call it out, identify it. Do you wash your hands, do you have physical habits that you know are just not the norm. Are other people around you doing what you do? I find that a lot of us mere mortals tend to take on these habits for whatever reason, and we don’t stop to actually think about what it is we are doing, but instead, we allow it to happen, it is more difficult to try stop doing it. The first step is take stock of what you want to stop doing and admit it isn’t right to waste time on such things. It is great that celebrities are speaking out about such issues for that in itself can help others realise they too need to admit to an OCD thought or action. You probably are aware of the unusual habits you do, but to change it, it is helpful to know “Why you do it”. Ask yourself “why”? Why do you wash your hands a hundred times a day and still think they are dirty, why do you switch the light on and off a few times, why do you have to check things a 100 times before you leave the house? Just why do we do these strange repetitive habits??? Some people have actually stopped their OCD when they stopped to ask themselves “Why do I do this stupid time wasting exercise”. But it may take more for you and thats ok. You may remember why it all started, or you may not remember. Either way the reason will always stem from a fear. For example, the person who washes their hands will generally find its a fear of germs, cause germs equal sickness, then sickness could ultimately cause death. That is what causes them to wash their hands so much. Part of conquering OCD is finding the why. Its the “WHY” that drives. The emotion that fuels OCD is ANXIETY. This feeling of unrest or inner turmoil caused by not performing an ocd ritual can be so strong and depressing that the victim must perform the habit in order to be relieved. However anxiety is an emotional response and is basically a feeling. I’ll admit anxiety deserves a whole blog article in itself so I’ll keep it short. If you can train yourself to NOT be lead by how you feel, but instead be lead by your heart (aka the part of you that knows its not right), overtime this emotion will ease off bit by bit. Let the feeling float by and even though it will try draw you into anxious thinking, you must focus on something else and know that it is just a feeling and nothing more. Sing, exercise, whatever helps you ignore the bad feeling. There is a time to confront the feeling but not all the time. Instead put a time down when you will confront it and for the rest of the day its not important. But all the while acknowledging that the feeling is a false emotional response to a fear you once believed. Remember this slogan F.E.A.R= False Evidence Appearing Real. A coach or therapist is very important to help you over this and figure out how to deal with it. I had ocd in my life and it was switching lights on and off a few times. The thinking I had was that if I didn’t do it something bad was going to happen my family. One day after a long time of doing it, after alot of bulbs had blown, I decided to see if the theory was true. I said “NO” to this stupid habit. It caused me great anxiety every time I had to switch the switch but I persevered. I soon came to realise that nothing was going to happen. It took a very long time to forget about it and I even was anxious at the thought of “will I ever forget about this”. But then I realised that “so what” if I cant forget it. I suppose by writing this into a blog will help somebody somewhere to realise that thoughts are just thoughts, and that is good. It is funny how we can sometimes get caught up with something so unimportant. The key is baby steps. Instead of touching a door knob ten times like Cameroon Diaz admitted to, reduce it to 8 times, then 5, and so on. Face the fear that is behind the habit, but do it step by step, bit by bit. Many battles are fought but only one side wins the war. It will take self discipline, time, and patience to overcome your ocd, but know this, YOU CAN DO IT! You may go great for a time and then slip , but just cause you lose a battle or two, long term you will win the war. See it as a challenge. Get support behind you. In some ways OCD is great training. When you begin to see it for what it is, you will find that you are bigger and stronger than it. You will find it will get easier with time. The amazing thing is you learn to become very self disciplined and mentally stronger as a result. Its like the ultimate brain training to defy emotions when they are misleading. Emotions are good and are a part of life, but sometimes they can be misleading. Its a saying I’ve heard before but is so true “never make an emotional decision” cause emotions can change. This will ring bells for all you ocd sufferers reading this. For doubt is a hallmark of ocd. Oh yes, it can cause you to doubt lots of stuff, thoughts like “but am I sure” or “how do I know for sure”, etc ,etc. When you get that “the doubt” it is ocd and not a real doubt at all. Don’t examine it and don’t entertain it, but instead understand its part of anxiety and ocd. 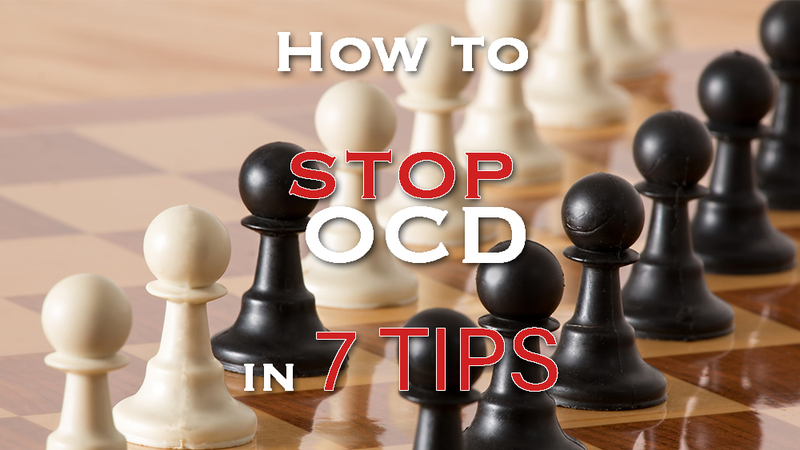 If you suffer from obsessive compulsive disorder I hope this blog article has helped. I do stress as always seek professional advice if you feel you need it. These tips will help but sometimes we may need support from others. If I can help drop me an email. Myself and Fiona created this blog for just that. Giving help to those that need it. We aren’t psychologists or therapists, but we do listen and we do have experience. I do hope this blog post has helped, and I would love to hear your comments below. OCD doesn’t just go away and takes work. These are tips that will help with that process. If you want me to email you as I write on these topics, you can subscribe for free HERE by filling in your email address. So comment below or email me at mark@markfennell.ie. All emails are strictly confidential. I don’t know if I have ROCD or if I truely don’t love, please help!! it is very hard for our minds to do two things. When we are trapped obsessing or feeling anxious its almost impossible to feel love at the same time. Focus on reducing anxiety and love will figure itself out and return with time. thanks for your email, tell me a little more of the start and any obsessions that are happening. Thank you so much for this article. I suffer from depression and anxiety.. but since December (went into another phase of depression) I started doubting the relationship I was in.. The feelings I have with my boyfriend.. and it gave me a lot of anxiety.. I googled and googled, and found ROCD. relationship OCD. It makes you worry that you are in the relationship because you do not want to be lonely, or don’t want to hurt him, etc.. What I would like to ask is what remedies are there for people who suffer this kind of ocd? How can I control it? Very good blog article that I can relate to in certain ways . I really appreciate people taking the time to help and benefit others.